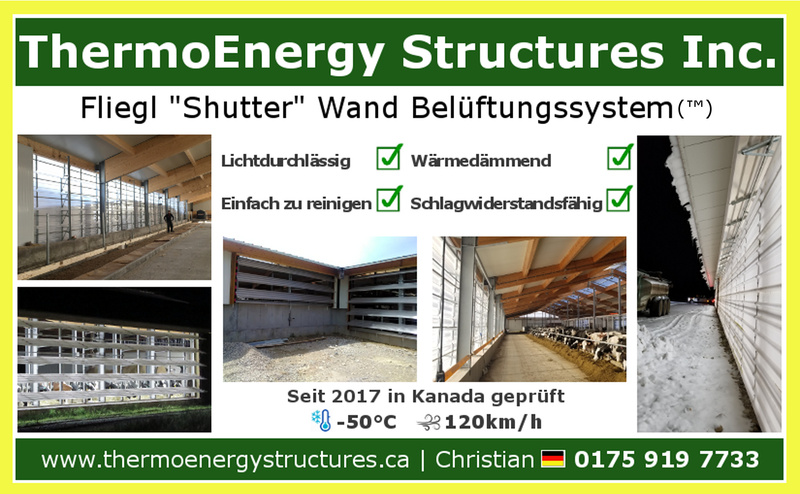 ThermoEnergy Structures Inc. | Welcome to ThermoEnergy Structures Inc.
ThermoEnergy Structures Inc. is a growing Canadian company, established in 2006. We design buildings for our customers’ individual needs, may it be a dairy barn, hay storage, workshop, riding arena, etc. The highest quality of laminated wood and/or galvanized steel construction with insulated roof & wall sandwich panels are used. Satisfied customers are our success. Please tell us your feedback. / Bitte erzählen Sie uns mehr. © Copyright 2018 | ThermoEnergy Structures Inc.